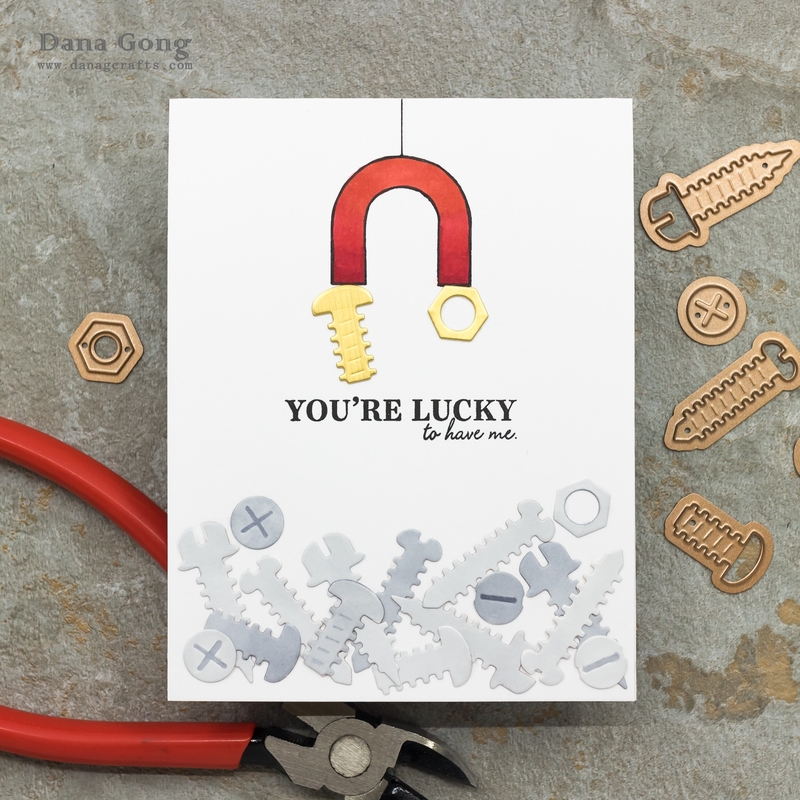 Today, I'd like to share some fun cards using Spellbinders Die D-Lites collection. 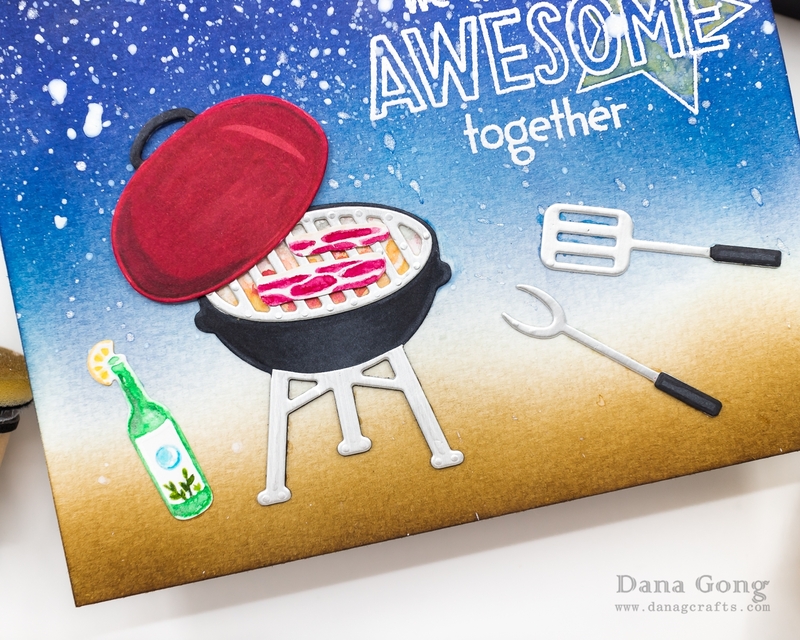 In my first card, I featured Spellbinders Die D-Lites Weekend Grill Etched Dies. I started by ink blending the A2 sized watercolor paper with Distress Inks. I used Chipped Sapphire, Salty Ocean, Blueprint Sketch, Black Soot, Vintage Photo and Ground Espresso. I spritzed water using mini mister and removed water droplets with a paper towel. I also splattered white drawing ink here and there and let them dried. I then die cut every elements of Spellbinders Die D-Lites Weekend Grill Etched Dies from white card stock and metallic silver card stock. I colored them Copic markers and Mijello Mission Gold Watercolor paints and glued each other. I white heat embossed the sentiment and added yellow watercolor paints inside of star. To finish, I mounted all pieces as shown in the picture. Next, I tried to make CAS style card. It's been a long while since I made a card without extra layers, foam adhesive and sparkling embellishments, so it's a challenge for me. 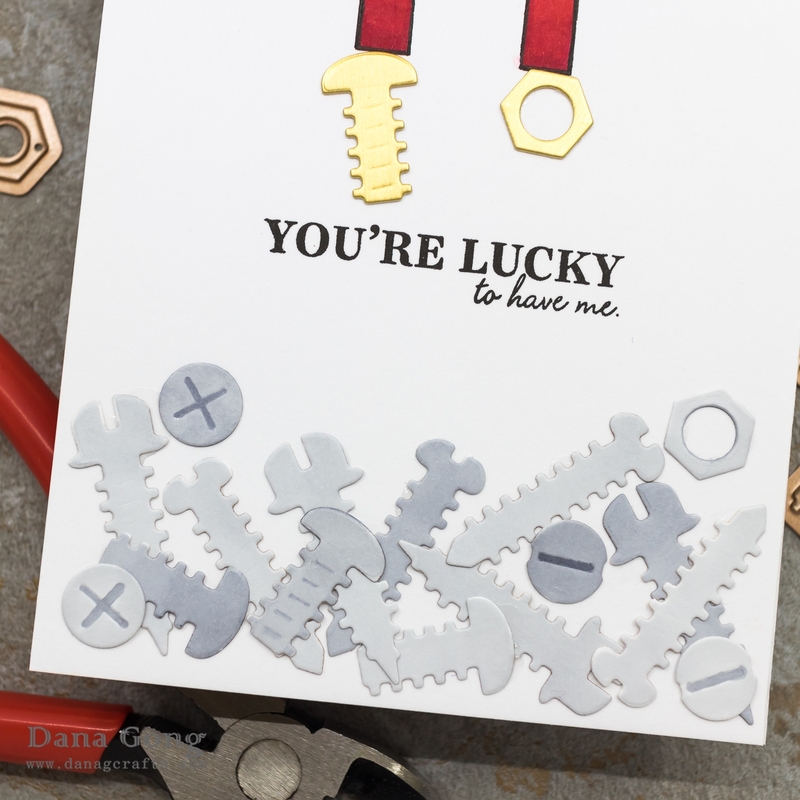 To start, I die cut bolts and nuts from white card stock using Spellbinders Die D-Lites Bolts & Nuts Etched Dies. I then colored them with alcohol markers, cool grey shades. I die cut another pair from gold metallic card stock as well. I drew magnet with Copic multi liner using small washi tape's donut shaped body and ruler. I colored it with Copic markers. I then stamped sentiment and mounted nuts and bolts using glue as shown in the picture. I hope you enjoyed today's cards and got some inspirations. Happy crafting! Plus, I'm sharing a listed supplies I used today. 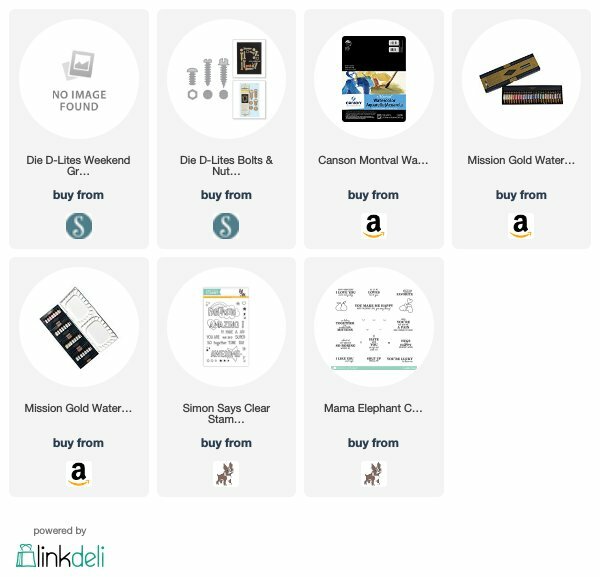 I'm a part of Spellbinders affiliate program and if you shop through these links, I got a small commission without extra cost to you. Thank you in advance for your support.